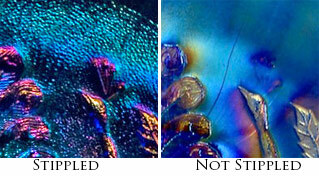 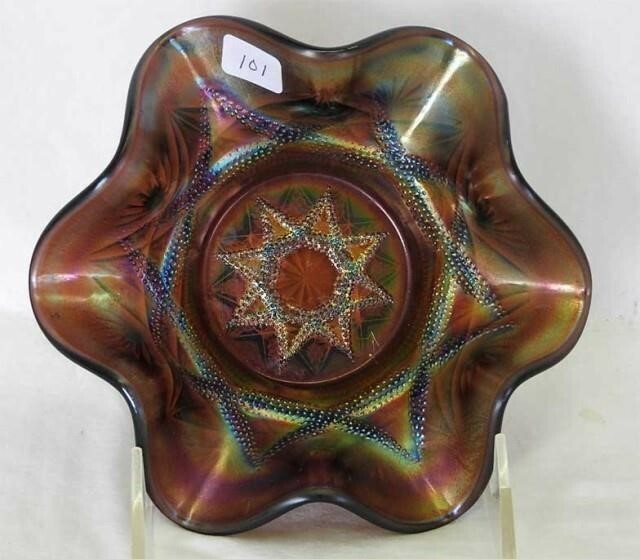 A unique pattern and easily remembered. 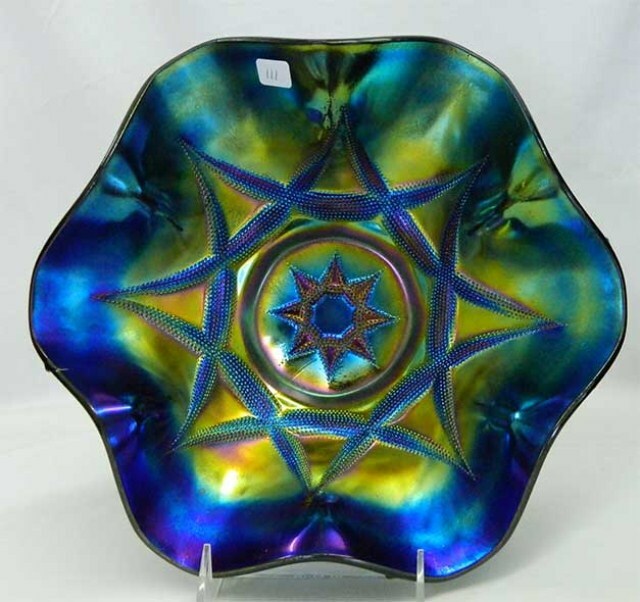 Overlapping crescents (I'm not sure they should be called skis) form large and small stars. 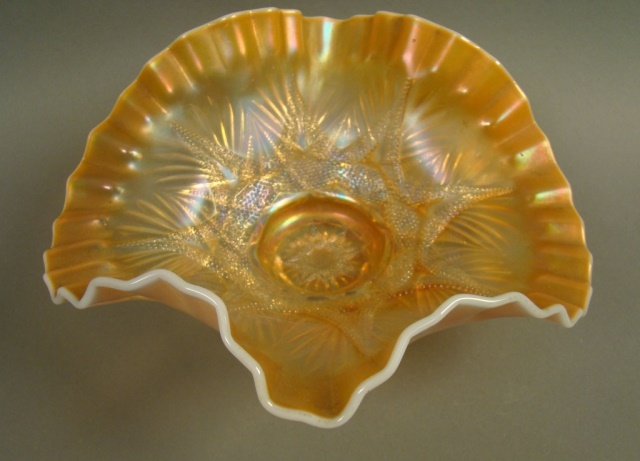 The crescents are heavily stippled. 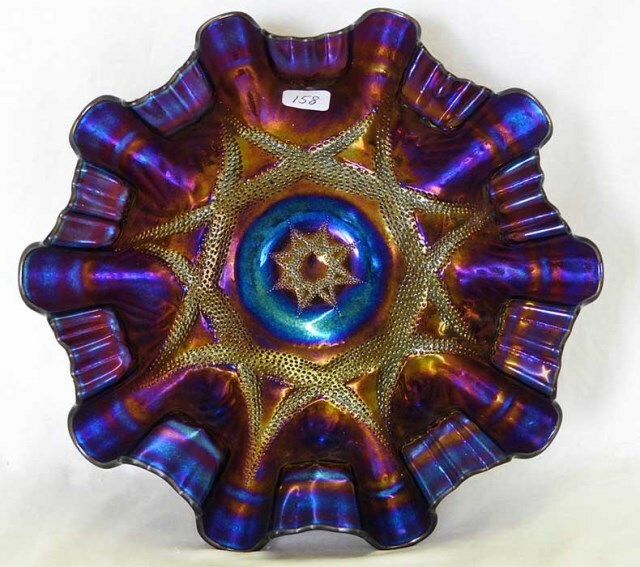 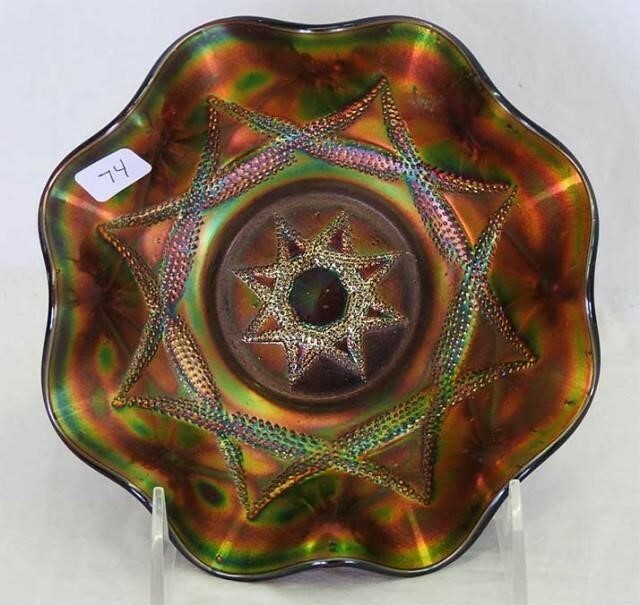 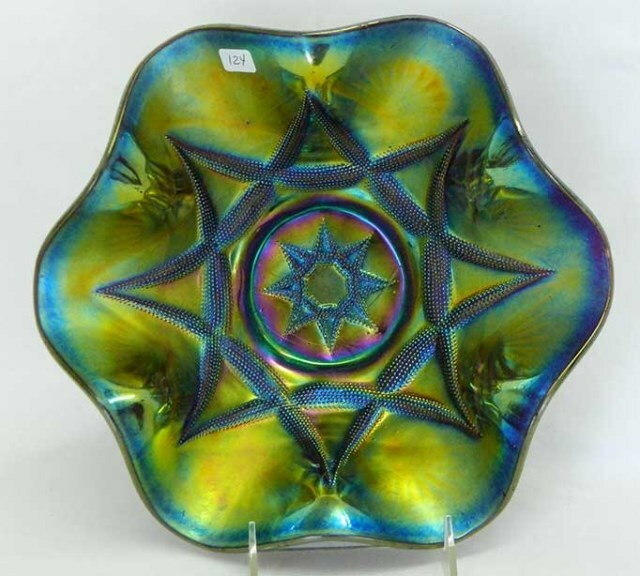 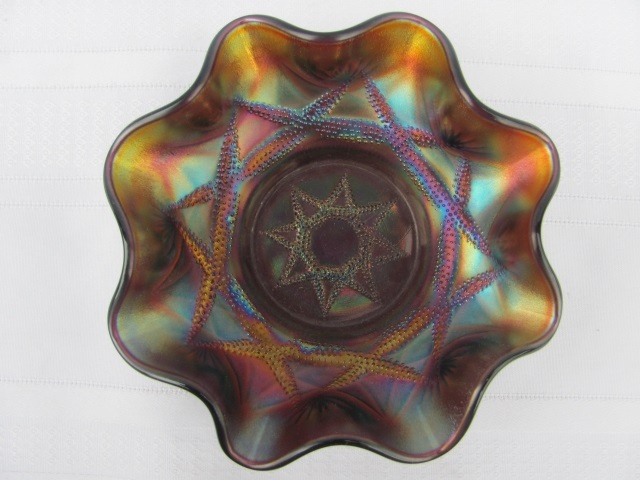 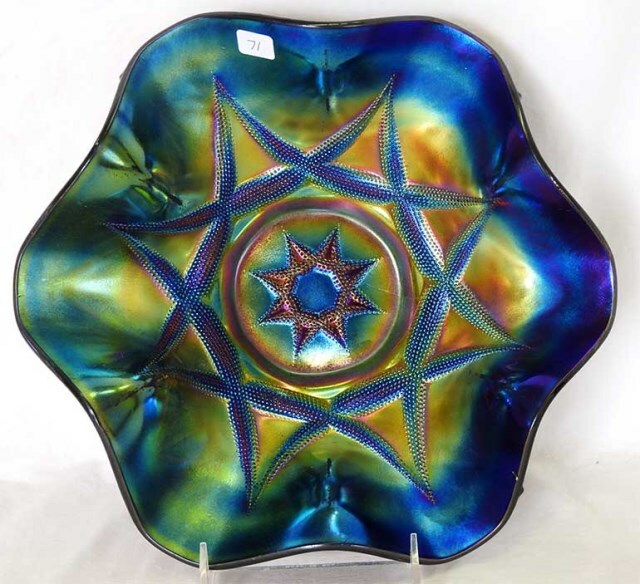 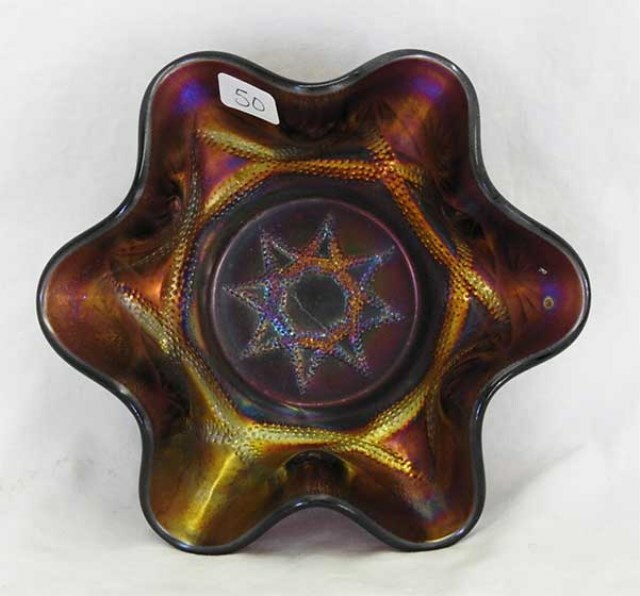 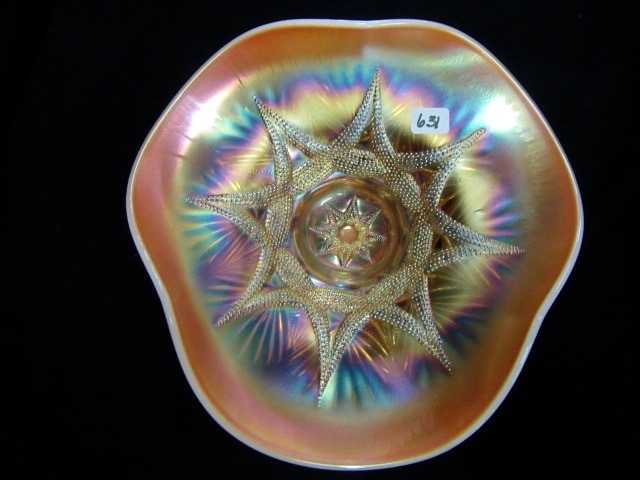 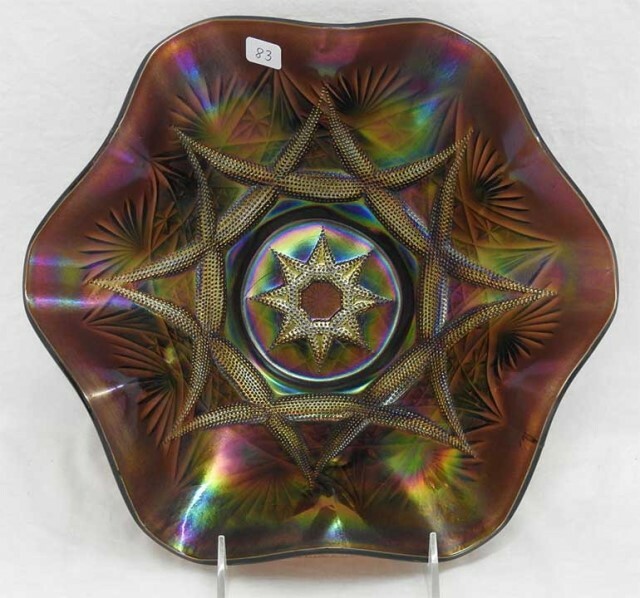 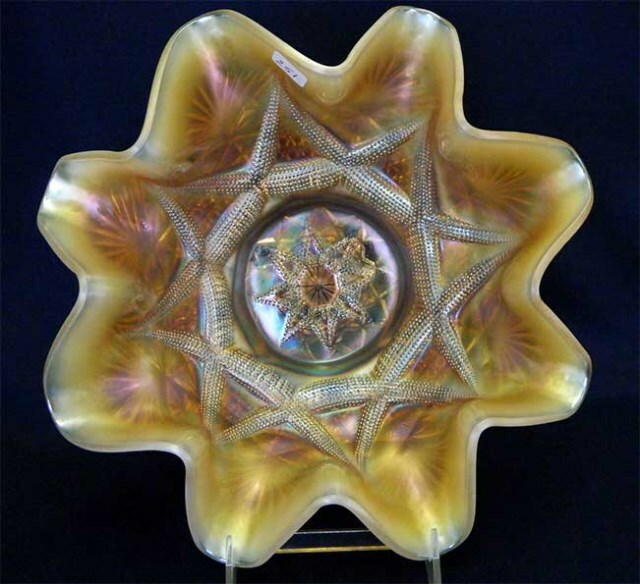 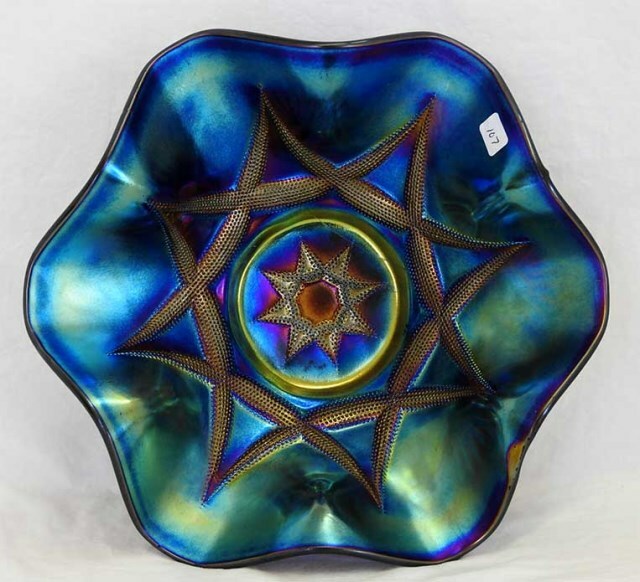 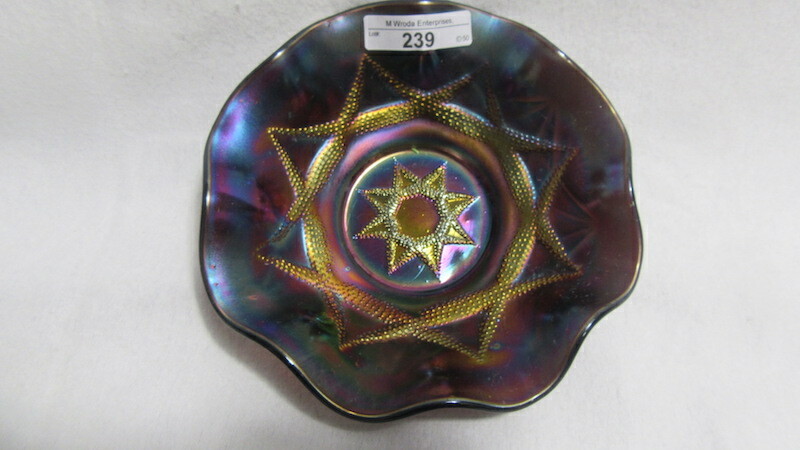 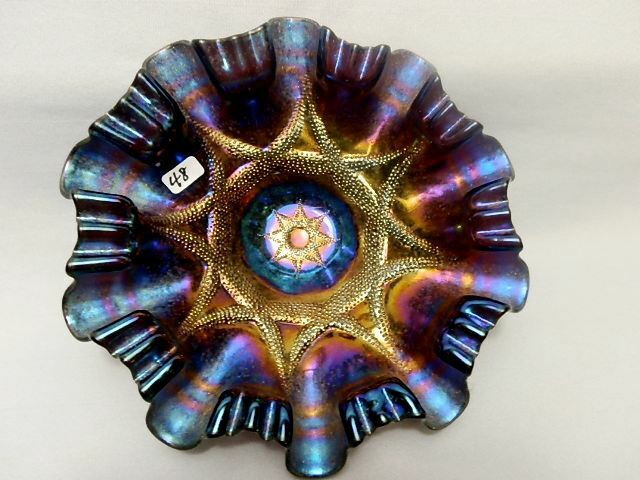 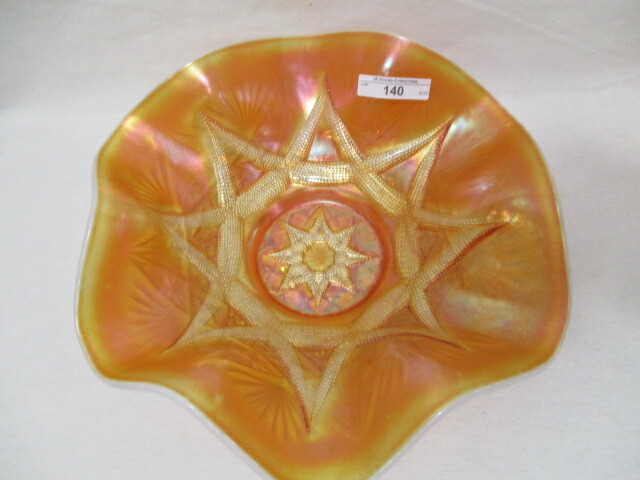 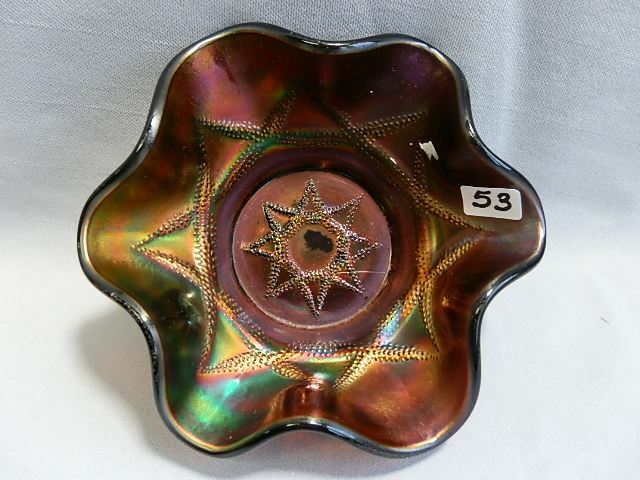 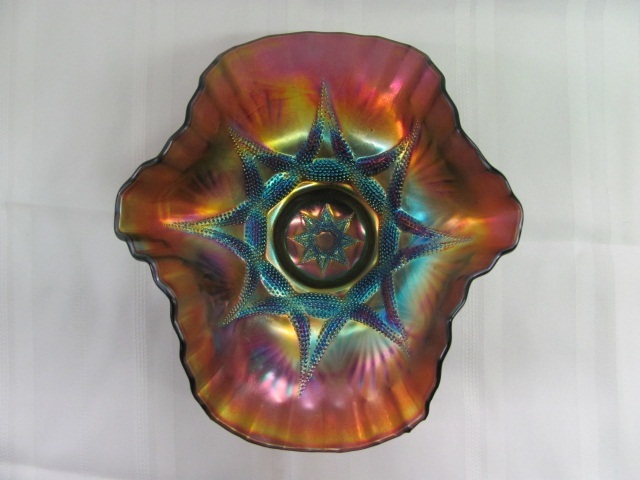 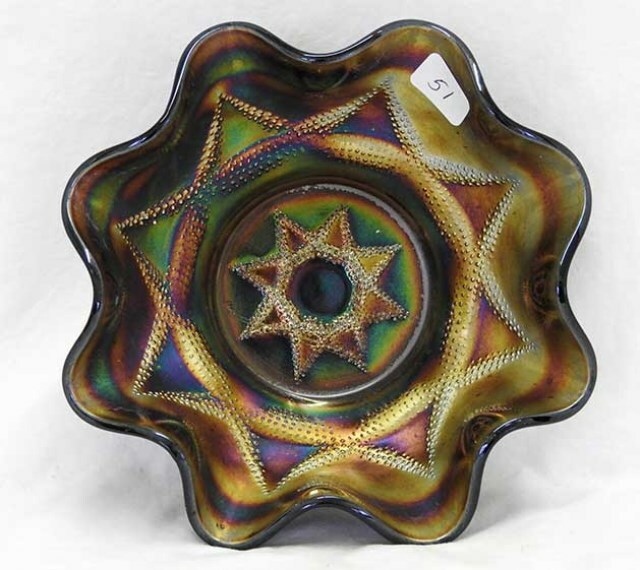 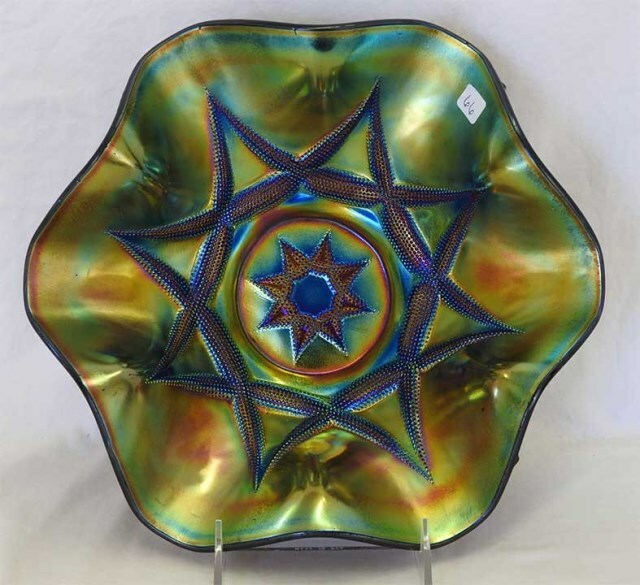 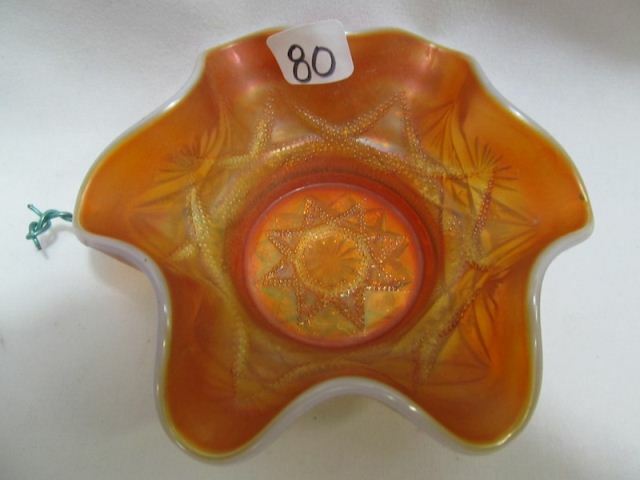 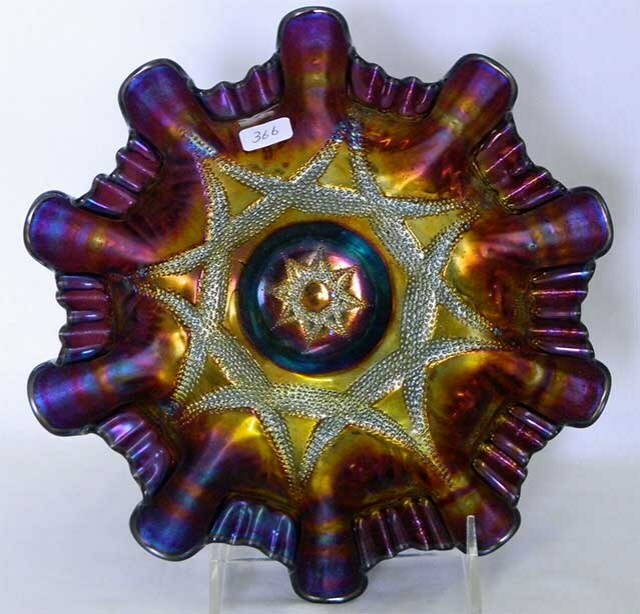 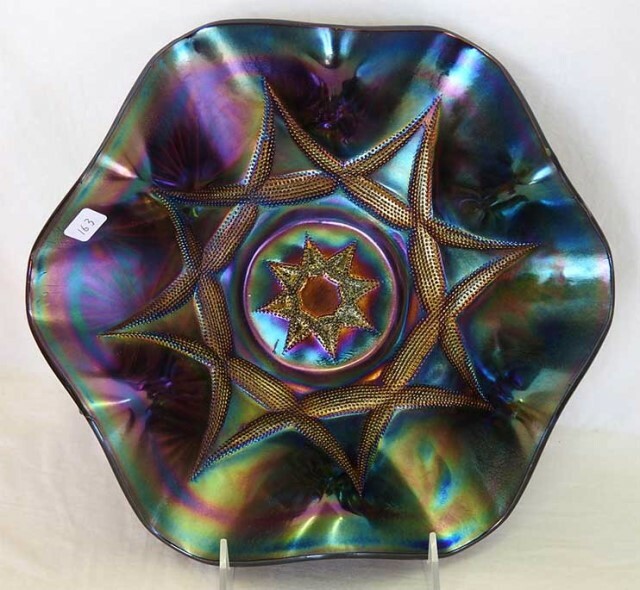 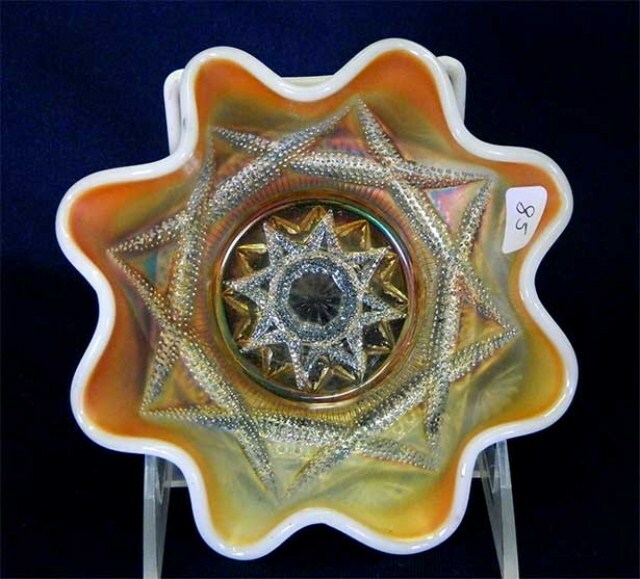 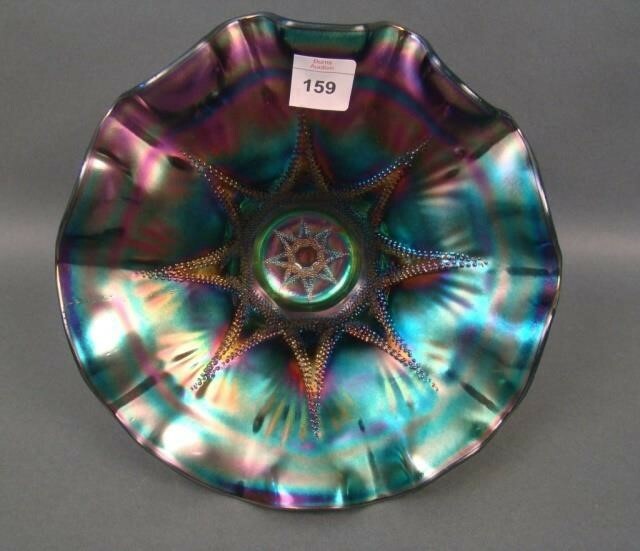 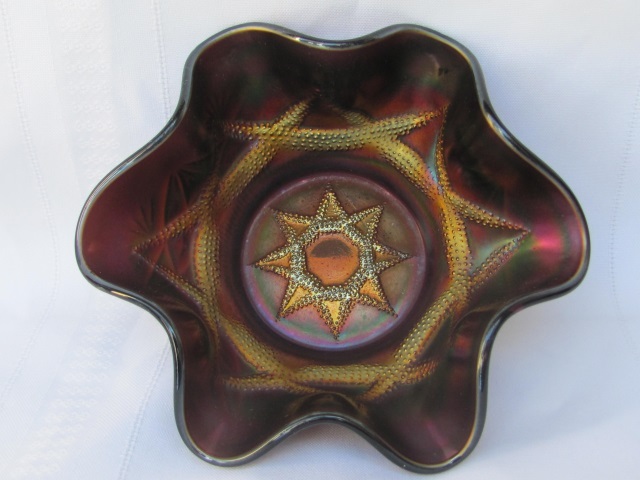 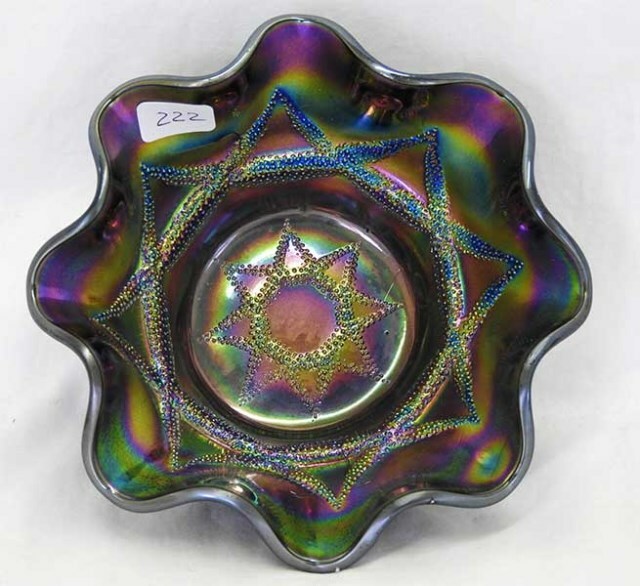 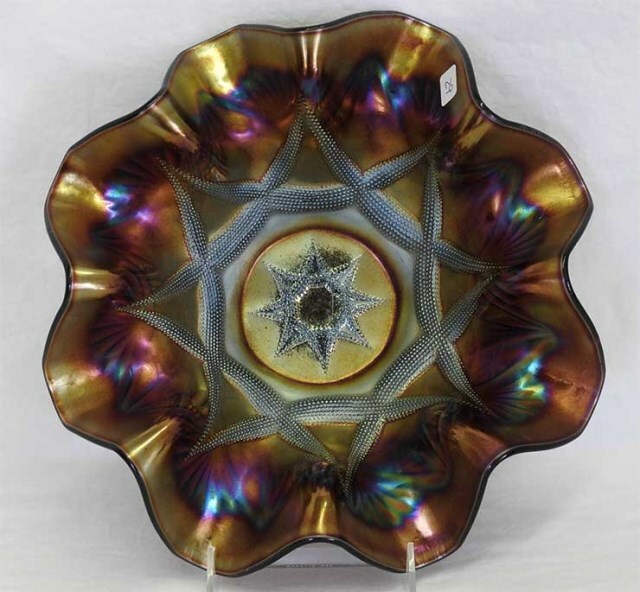 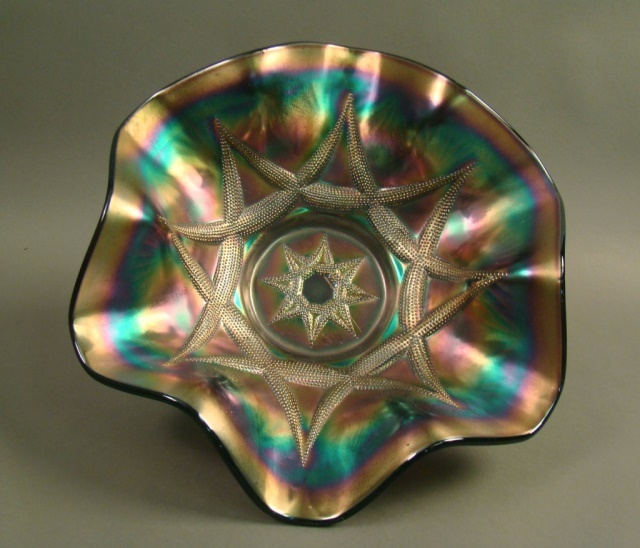 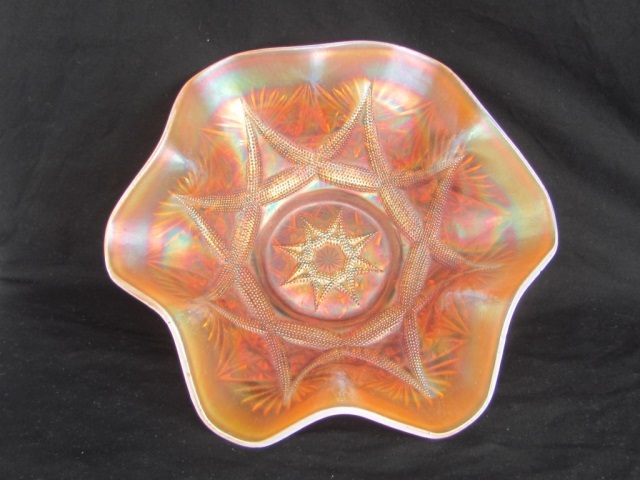 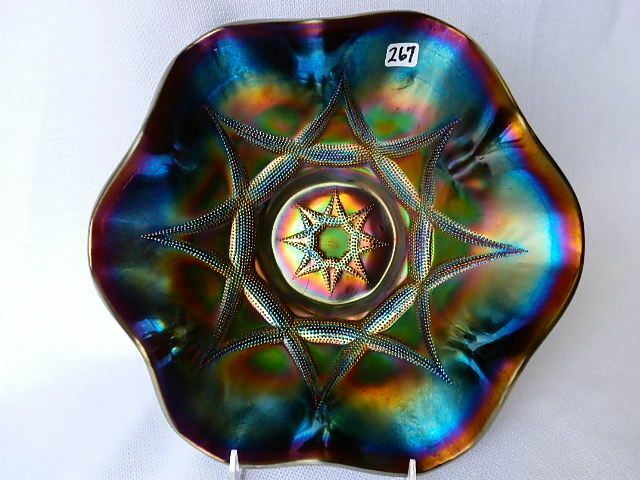 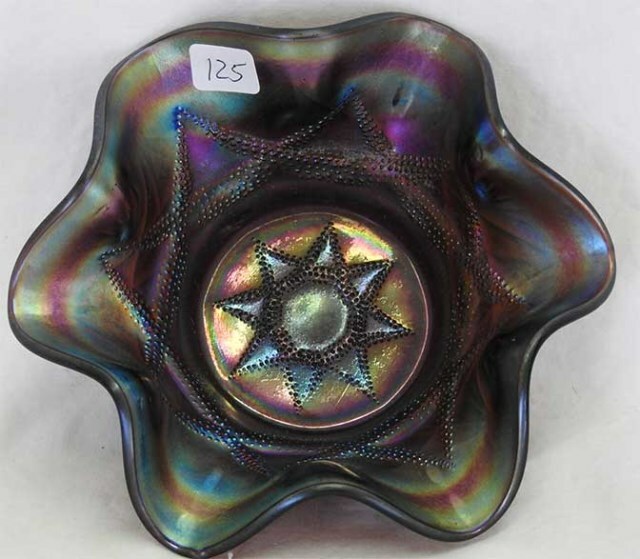 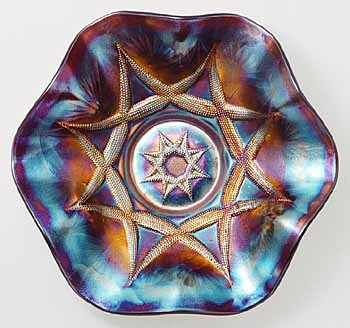 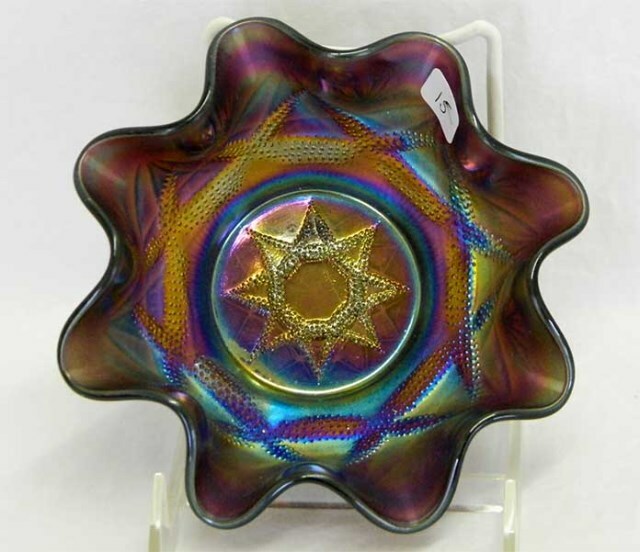 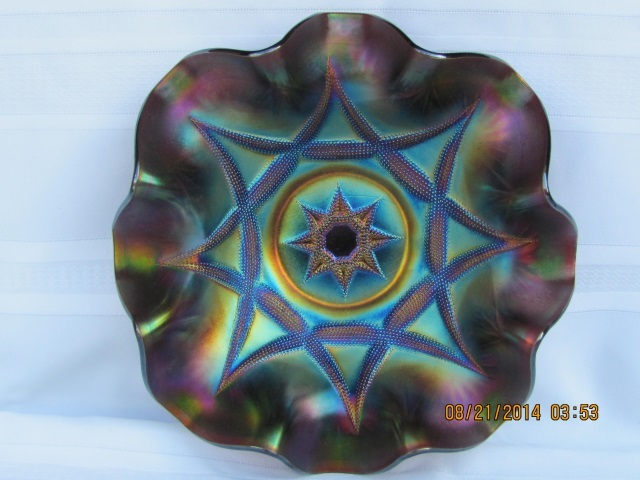 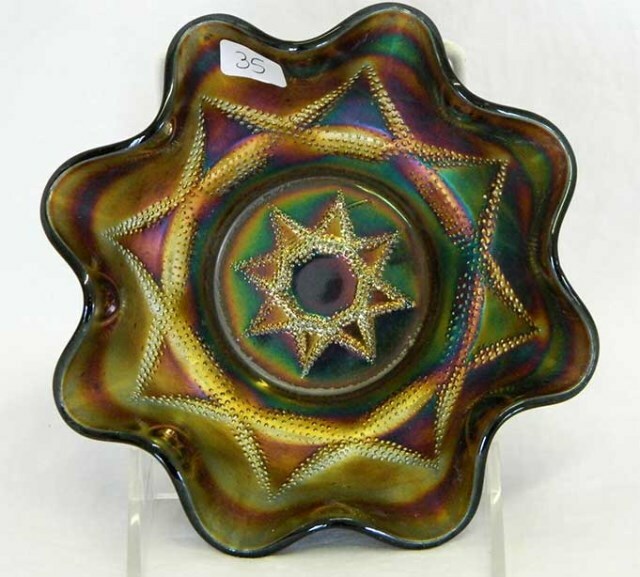 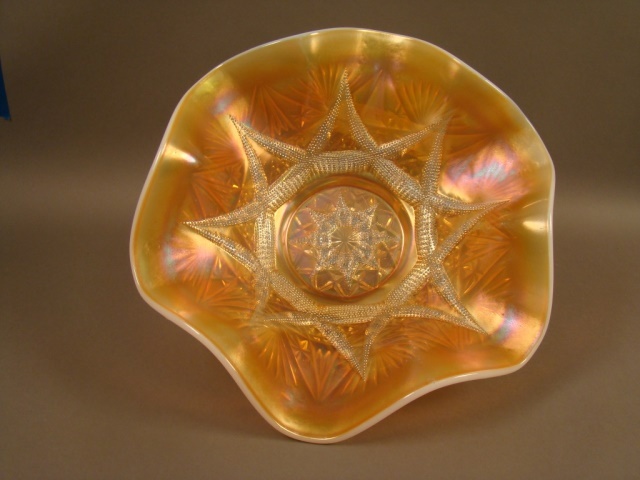 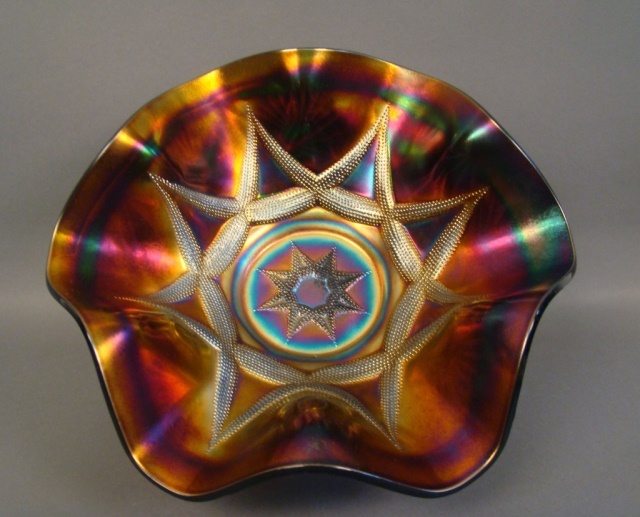 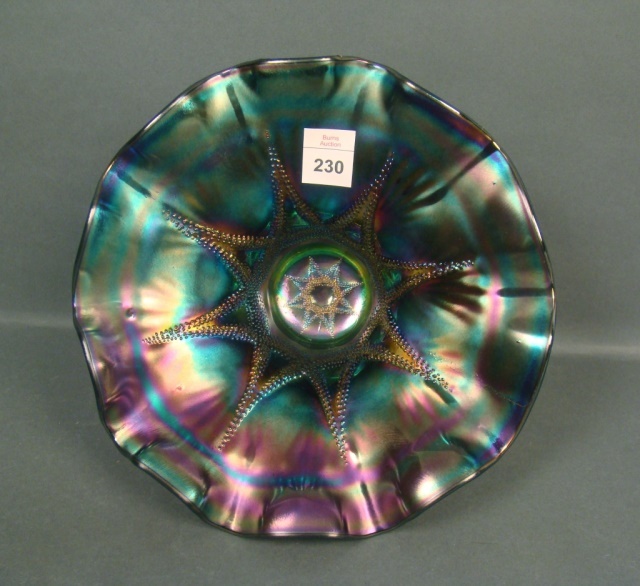 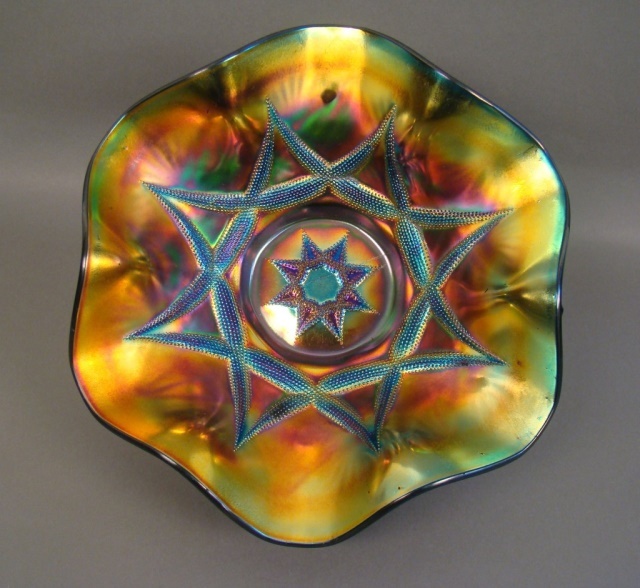 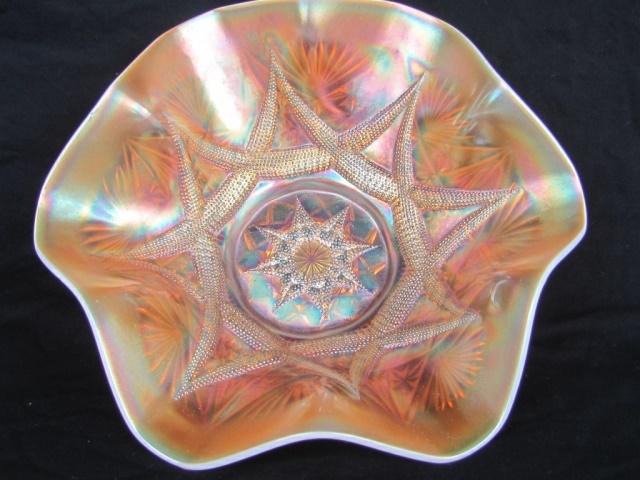 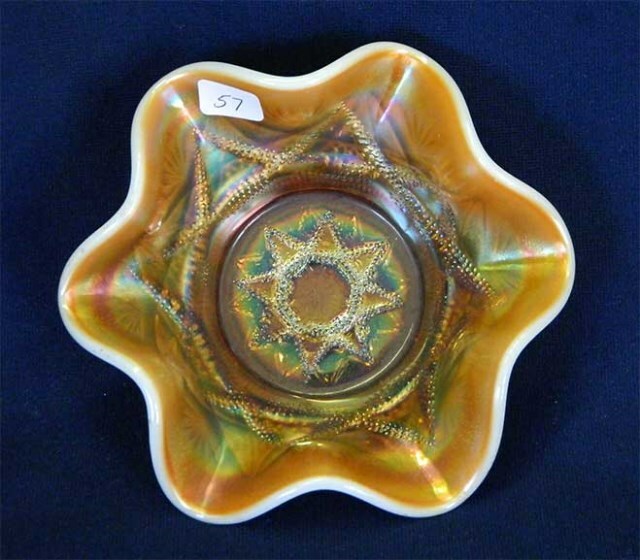 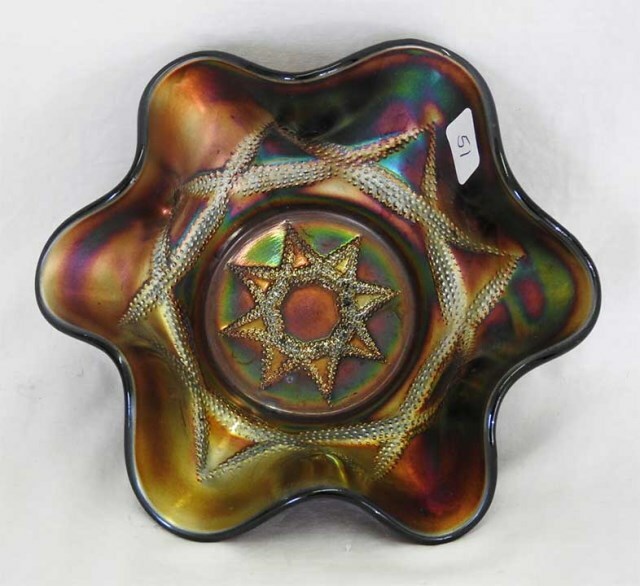 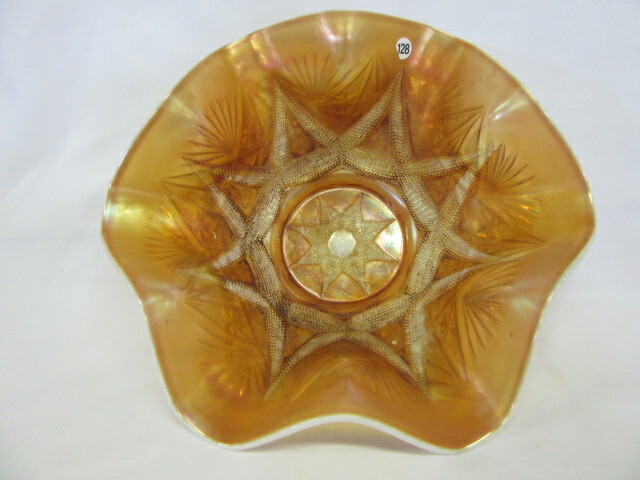 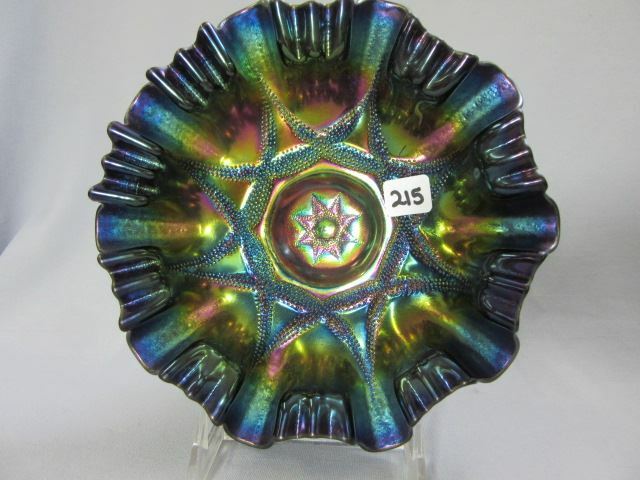 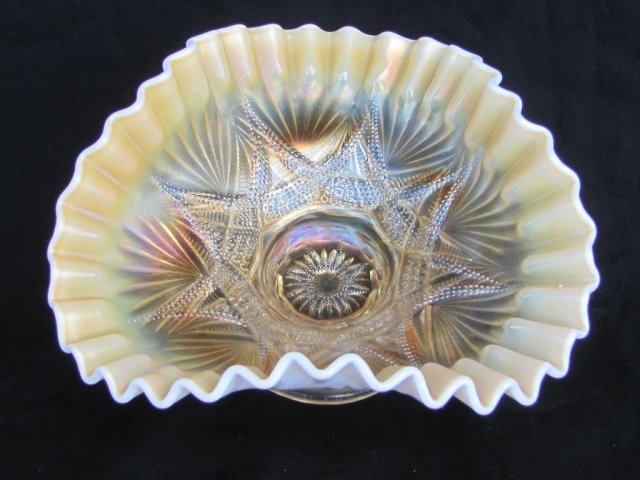 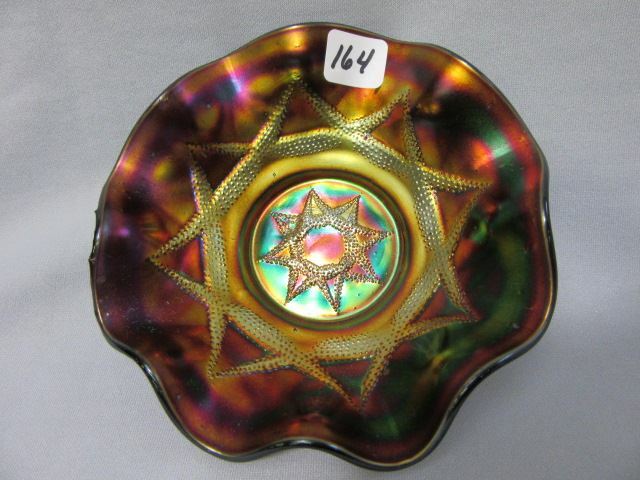 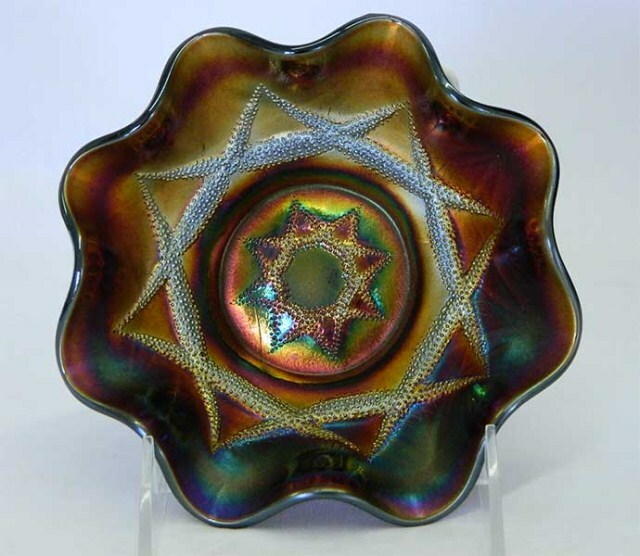 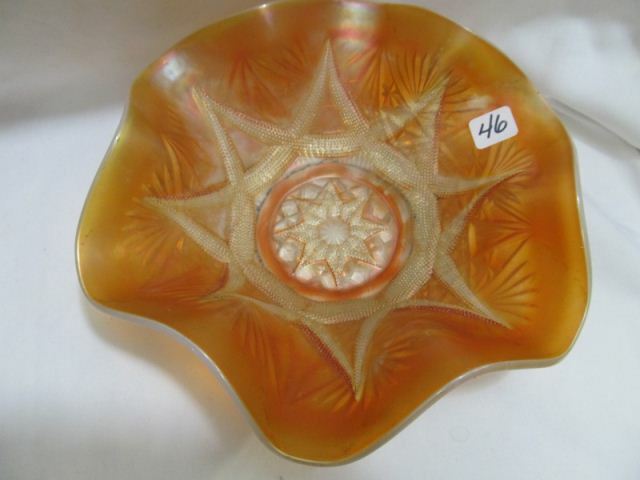 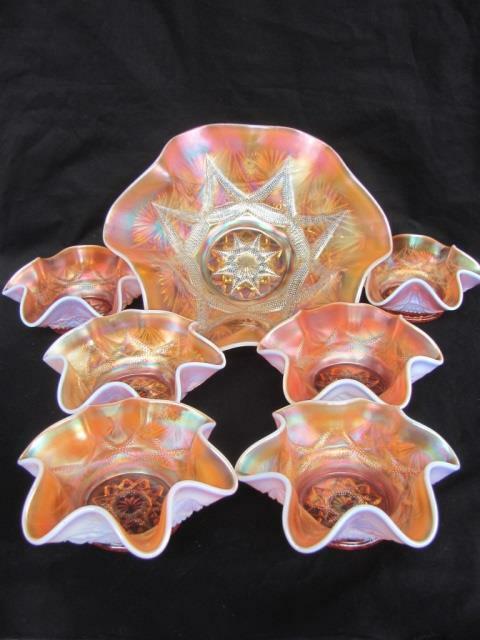 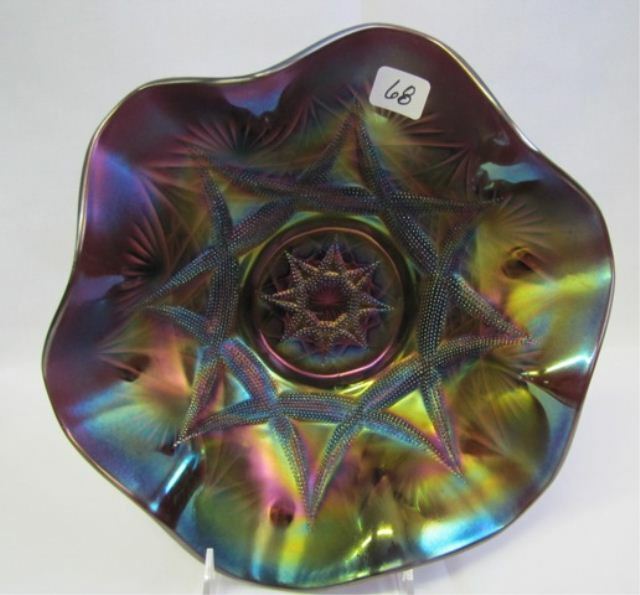 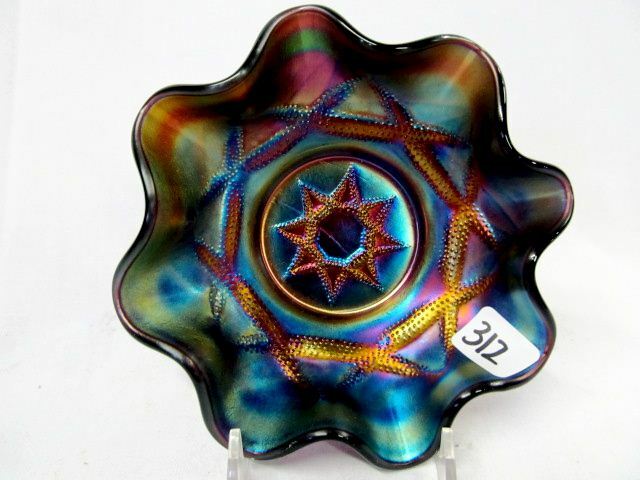 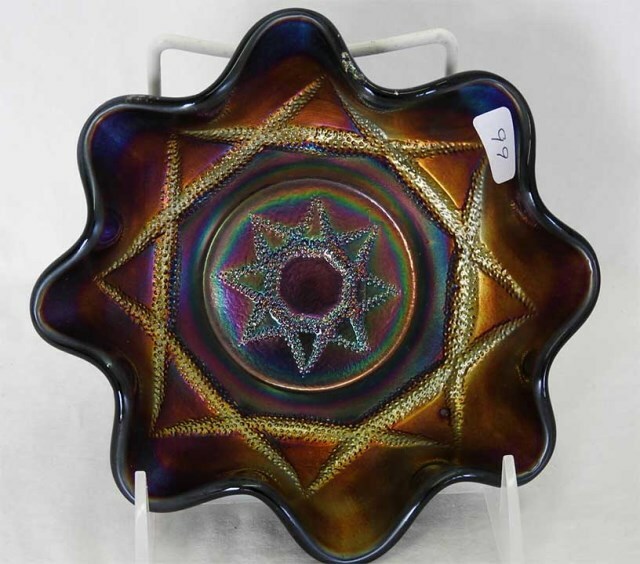 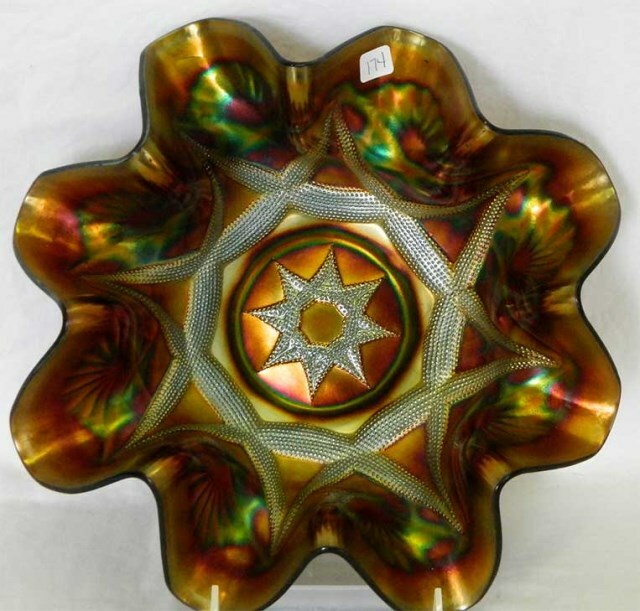 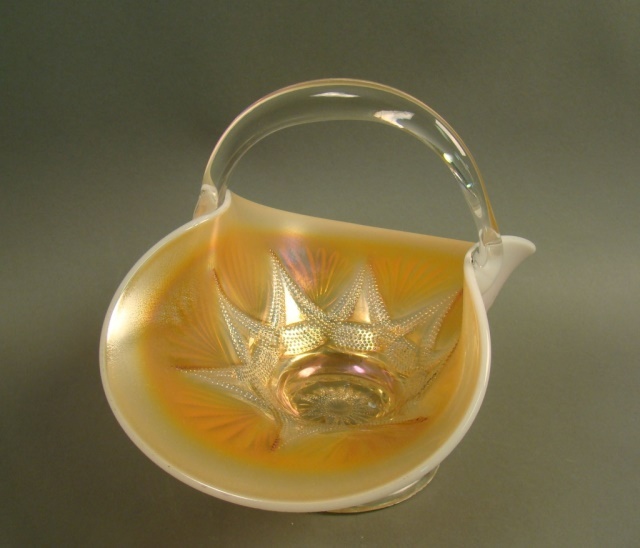 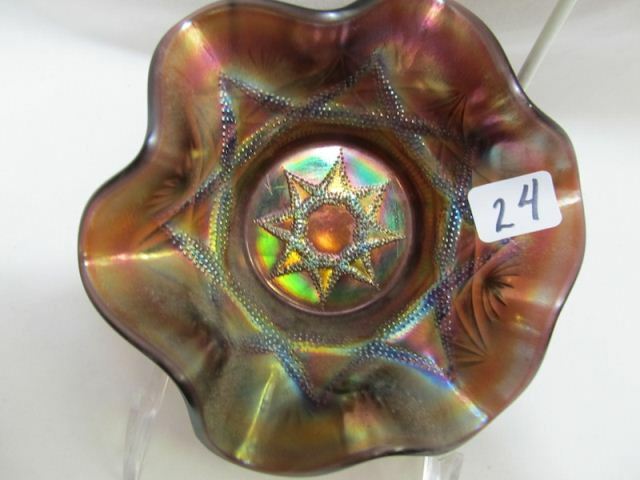 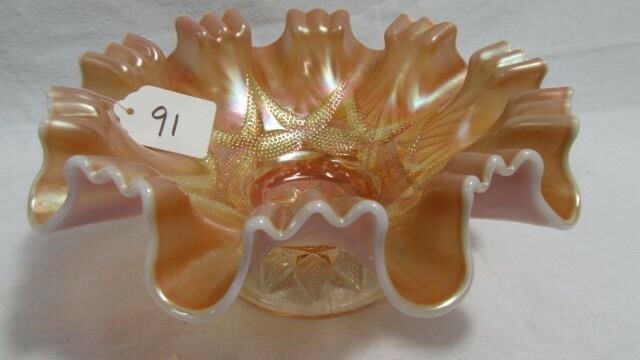 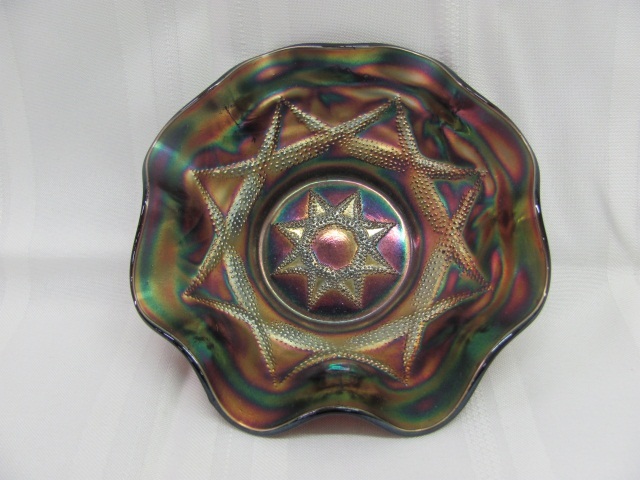 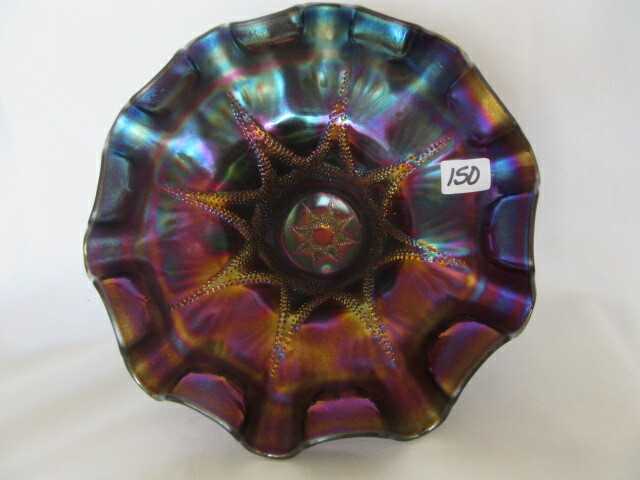 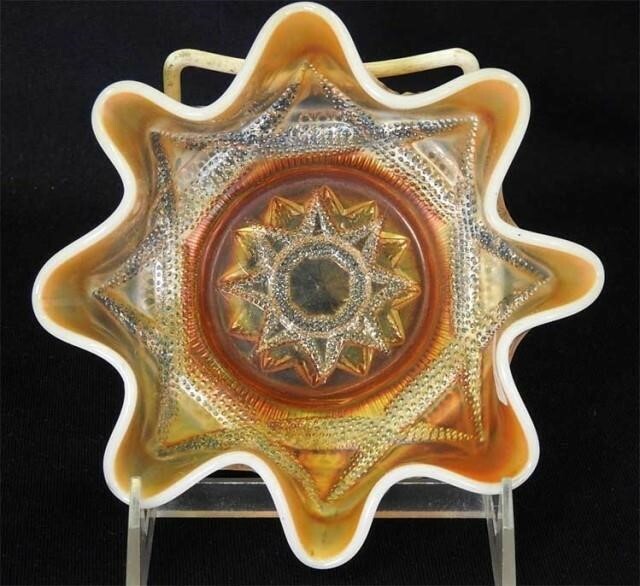 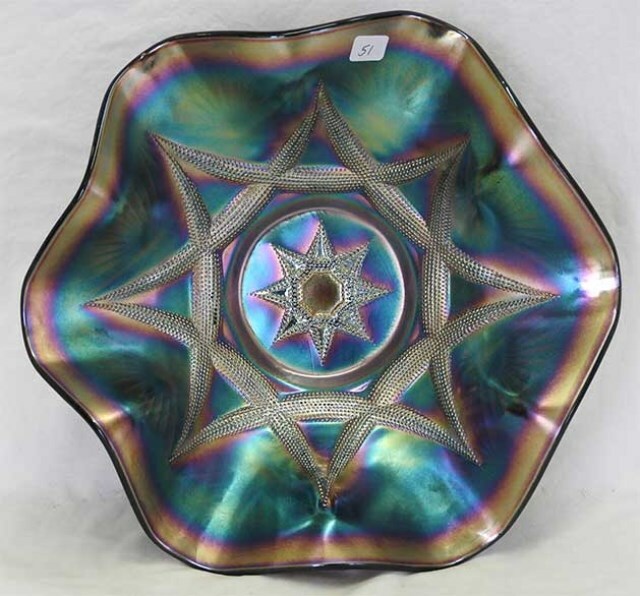 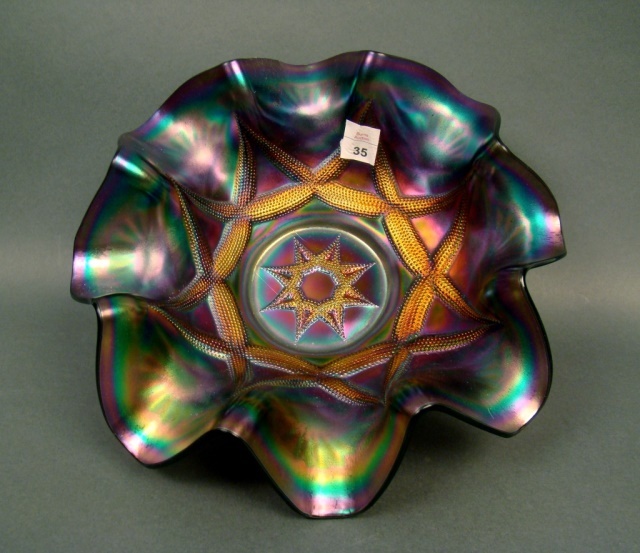 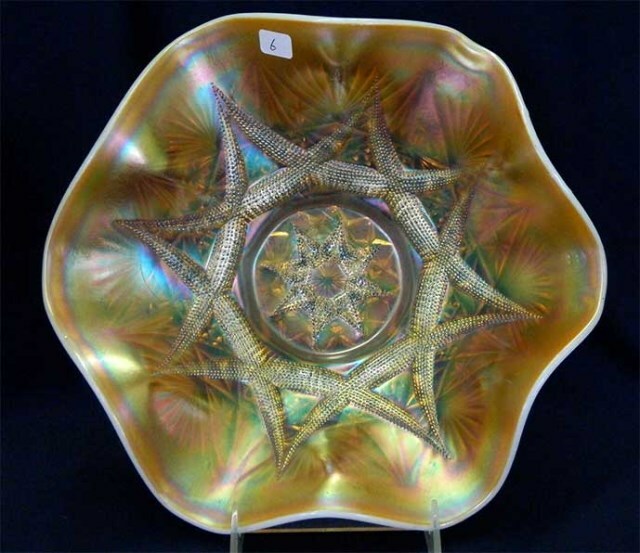 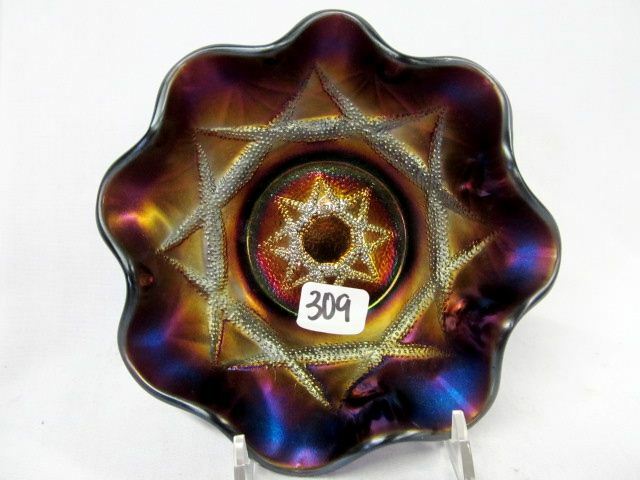 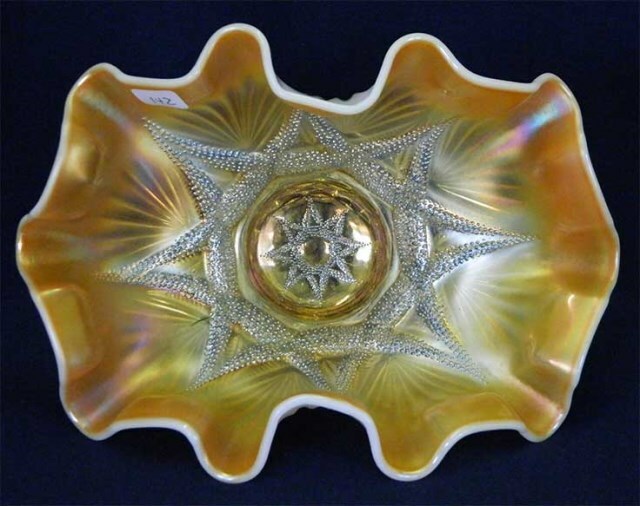 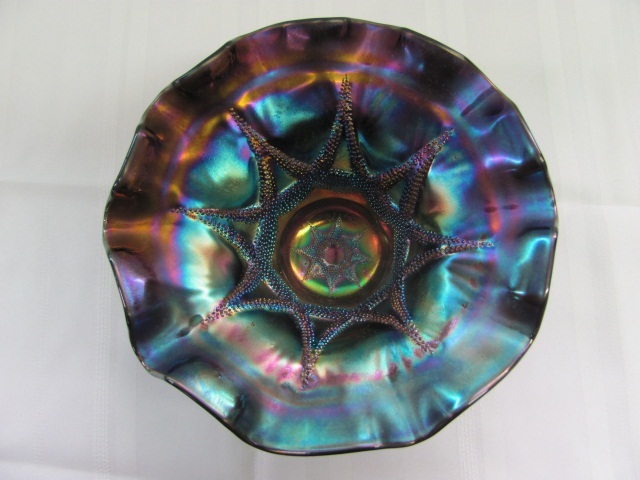 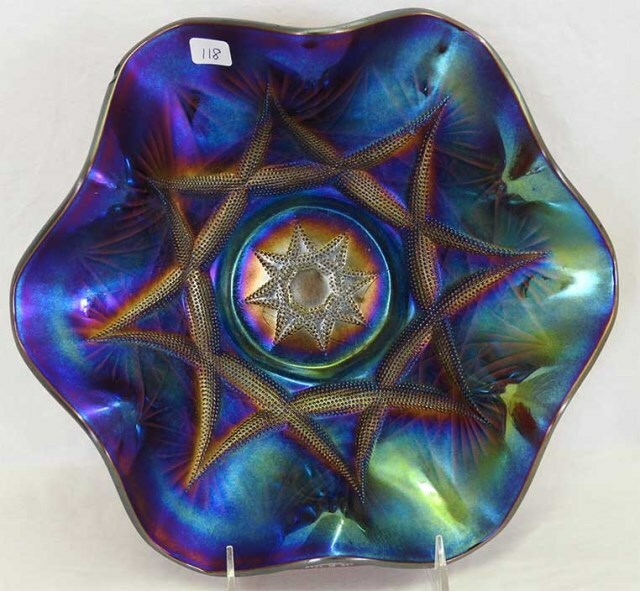 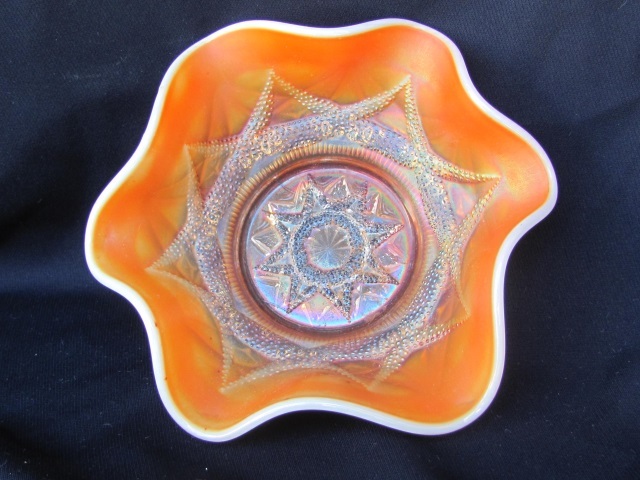 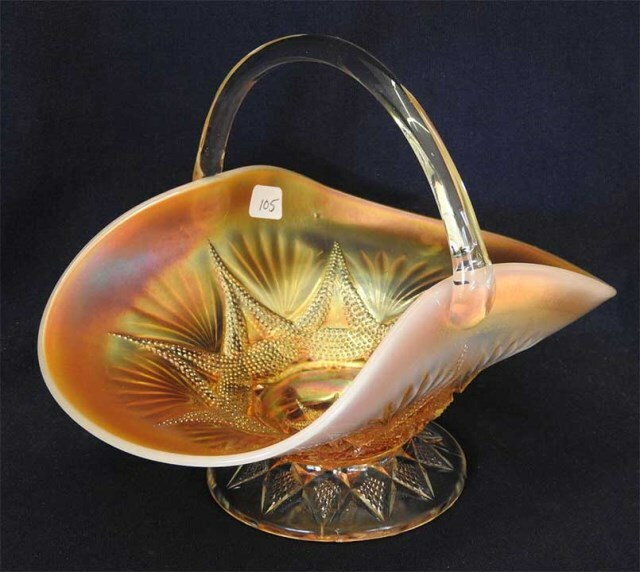 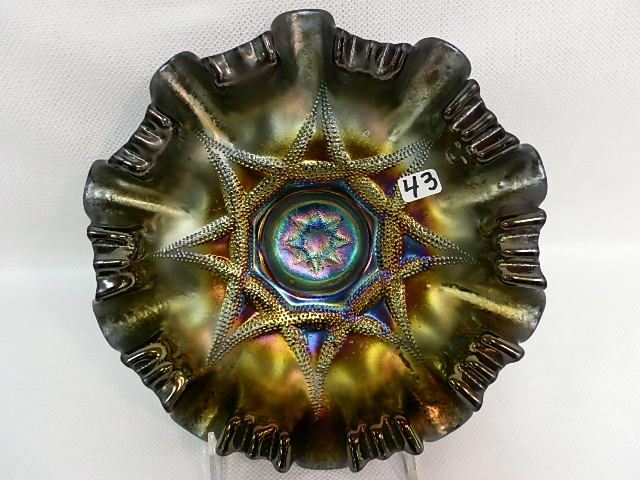 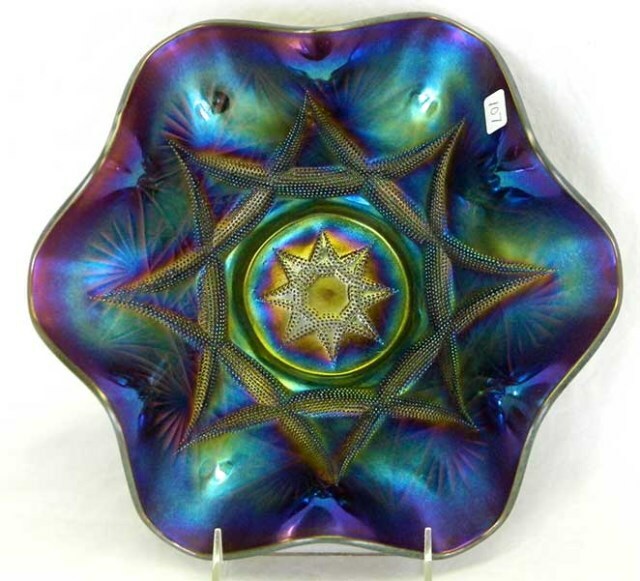 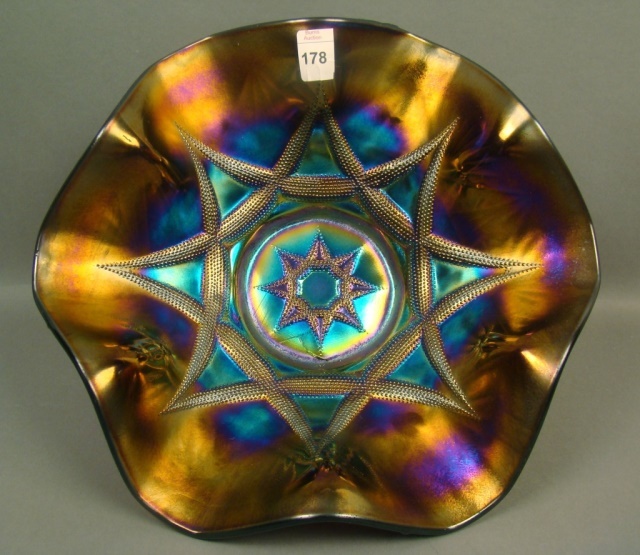 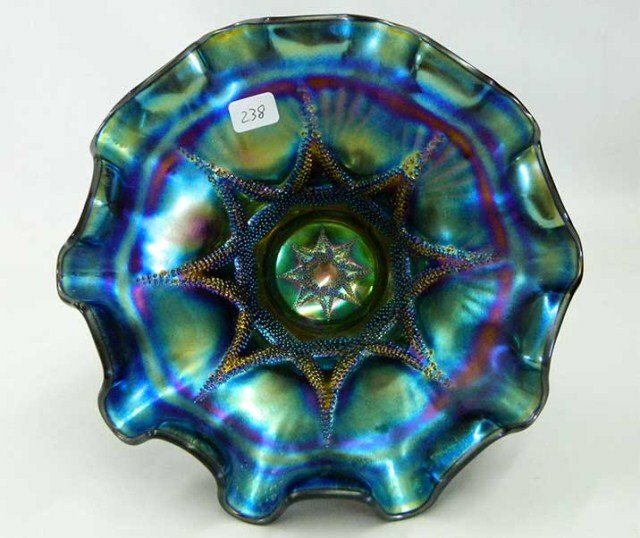 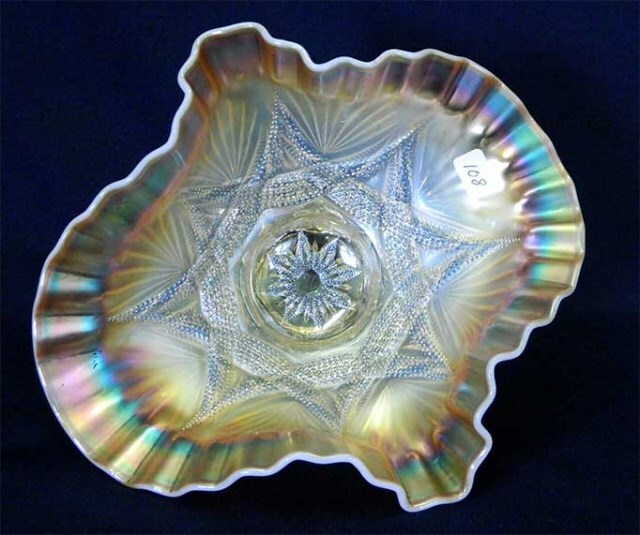 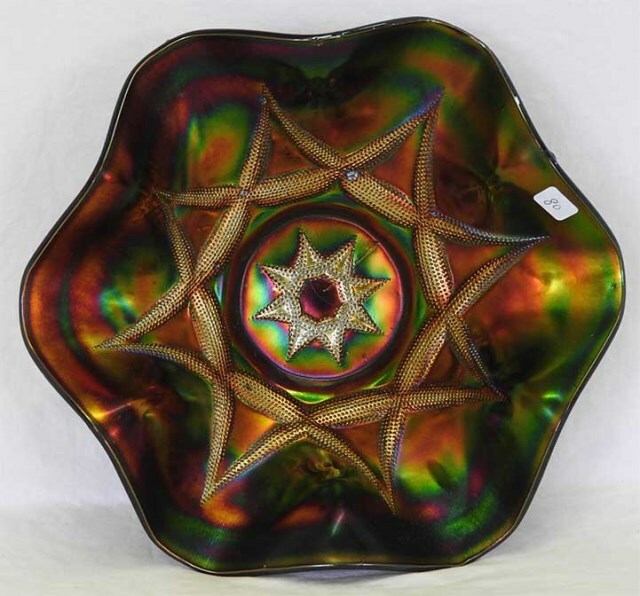 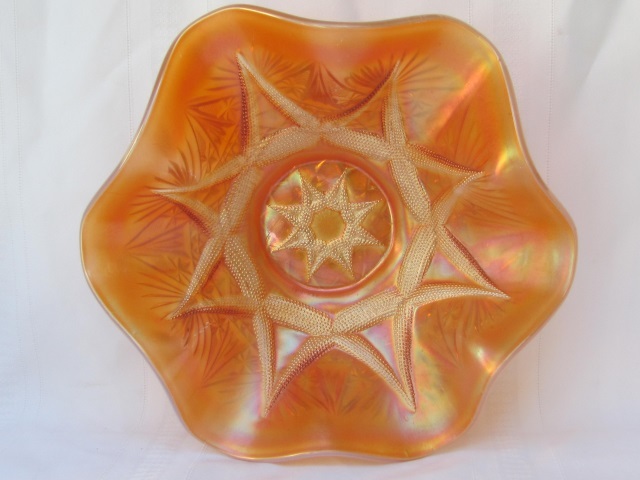 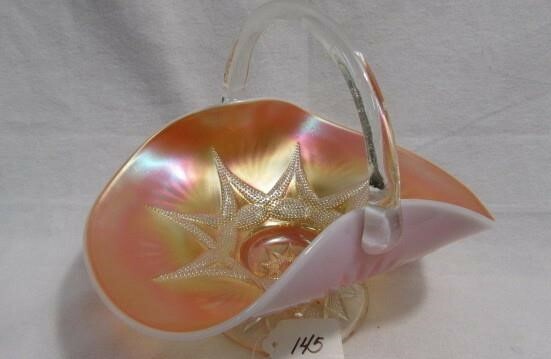 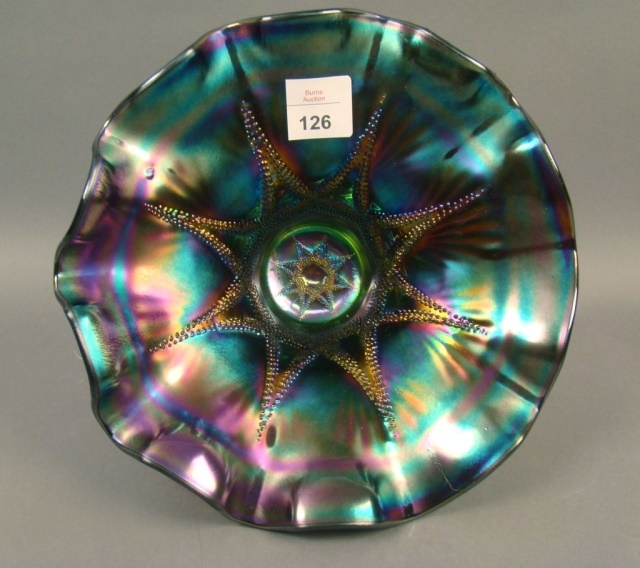 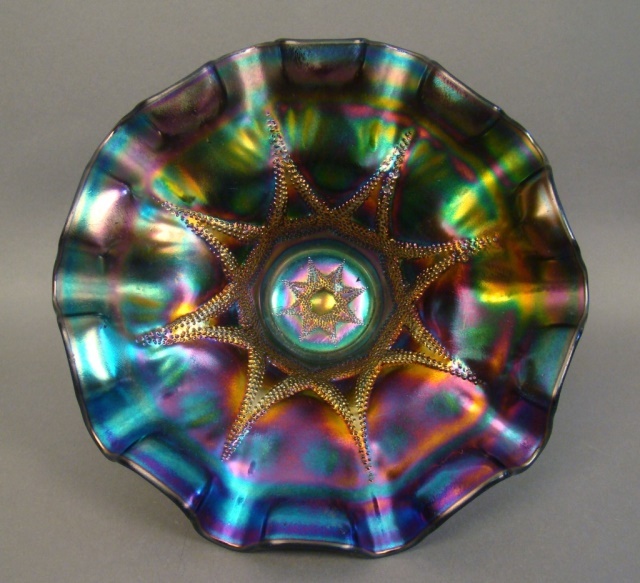 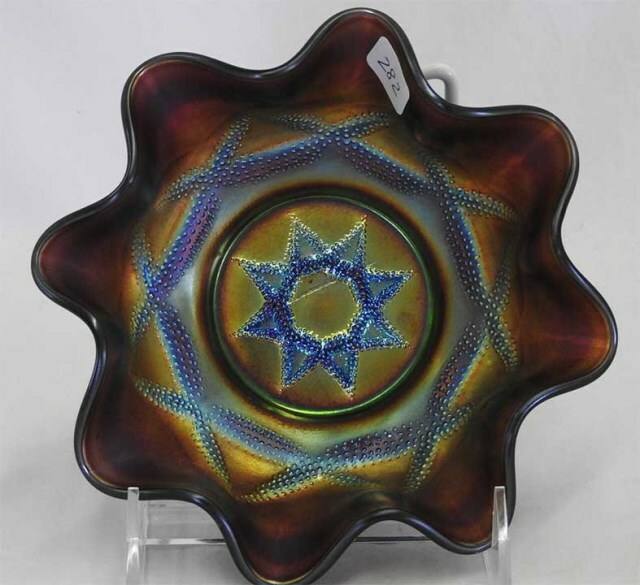 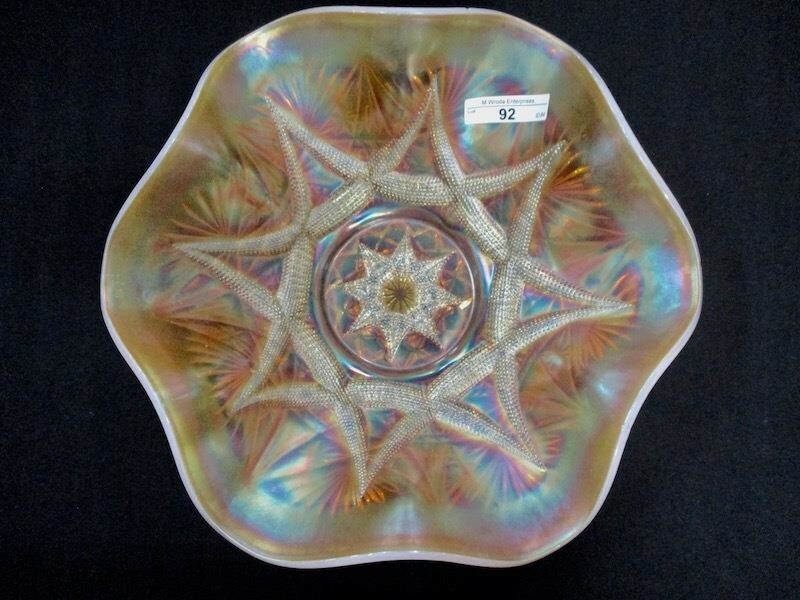 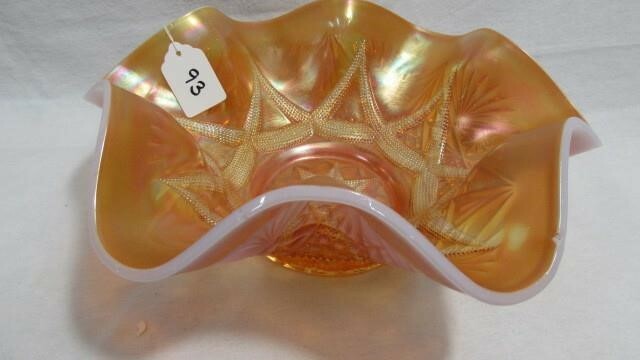 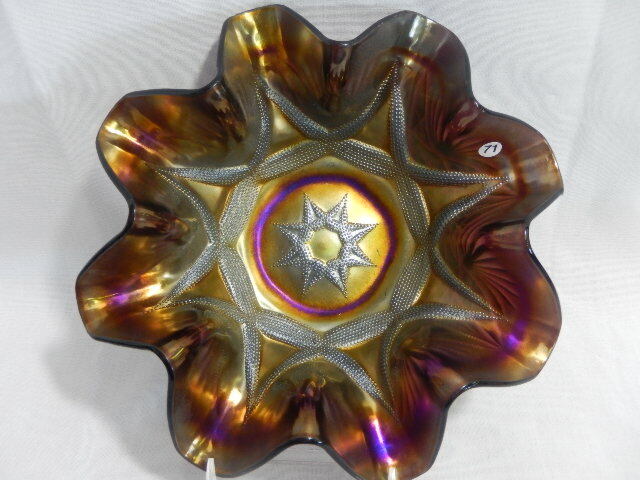 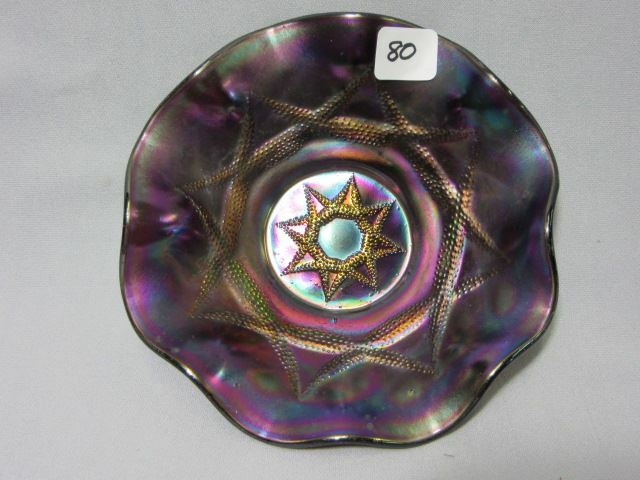 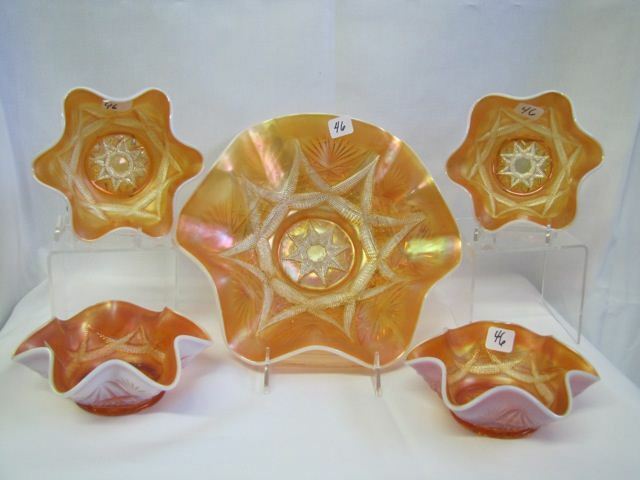 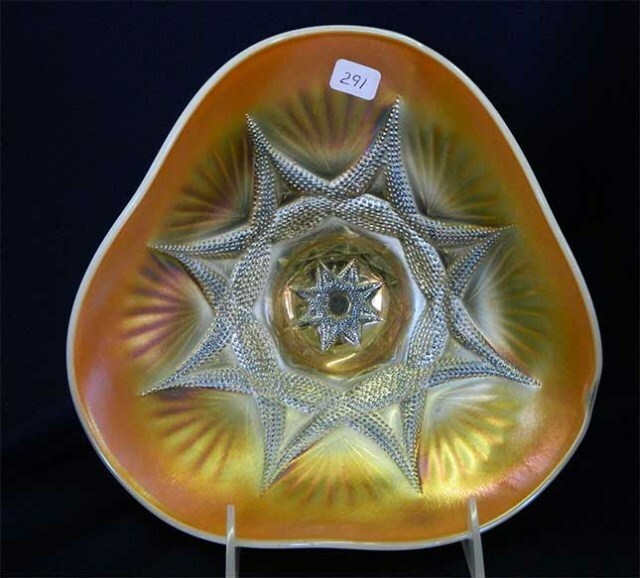 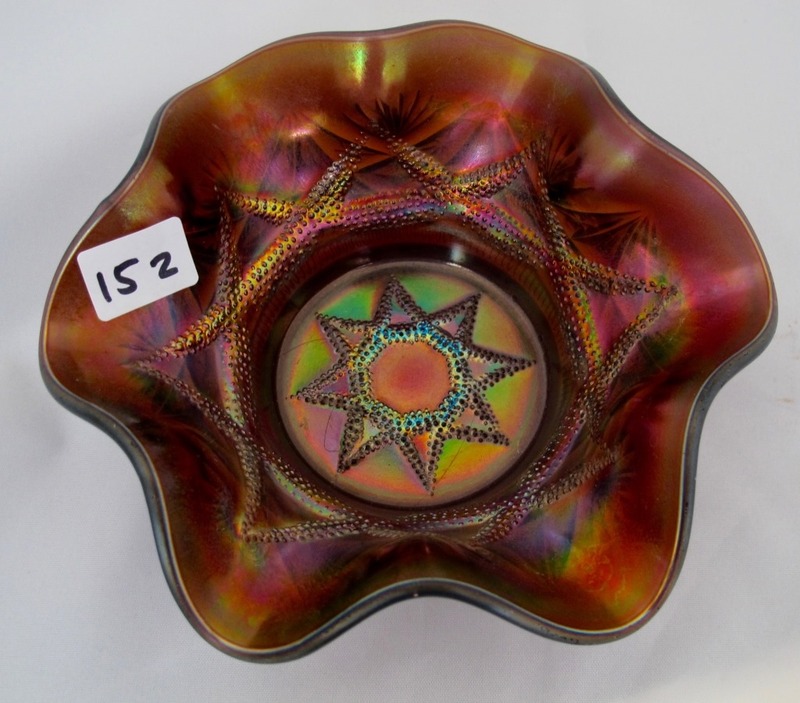 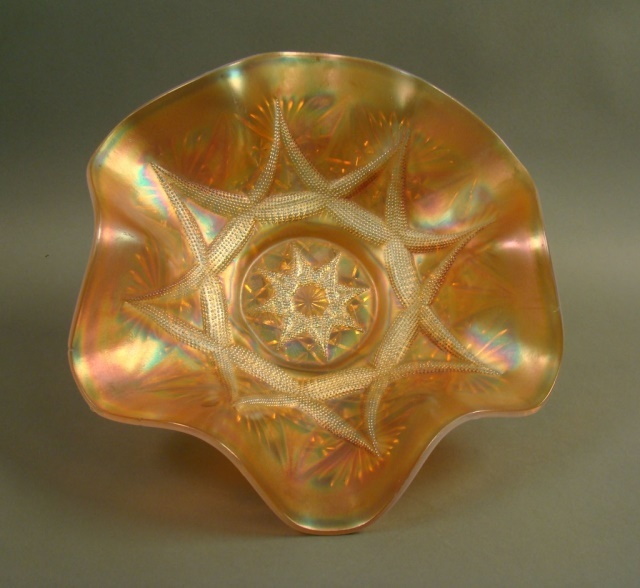 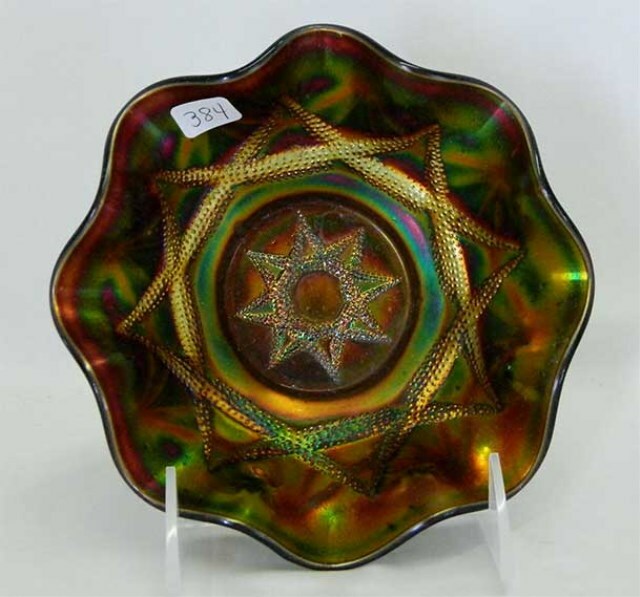 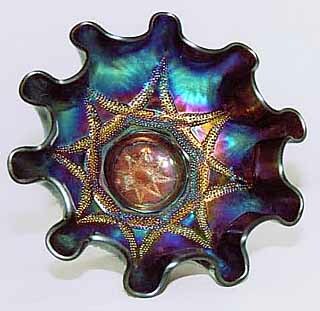 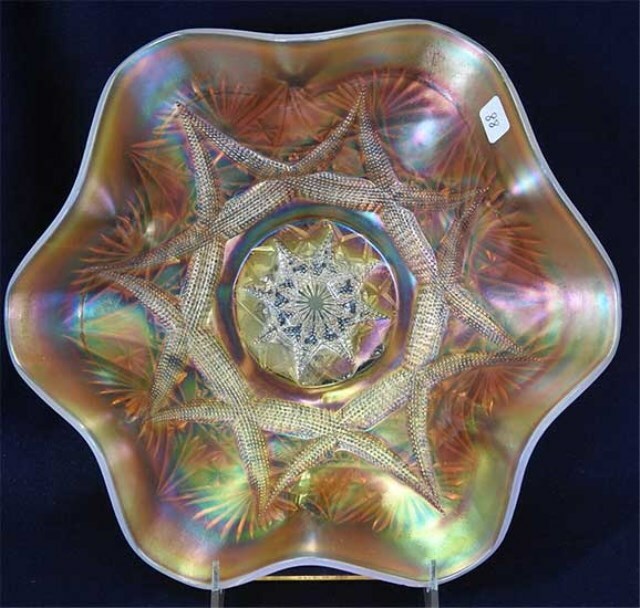 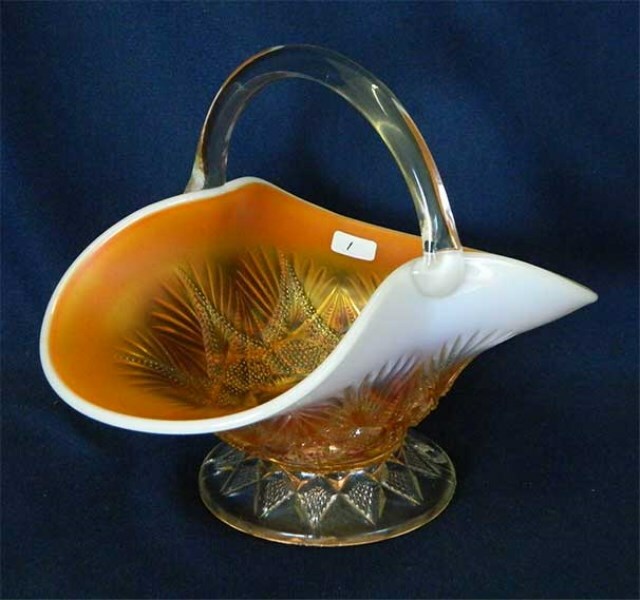 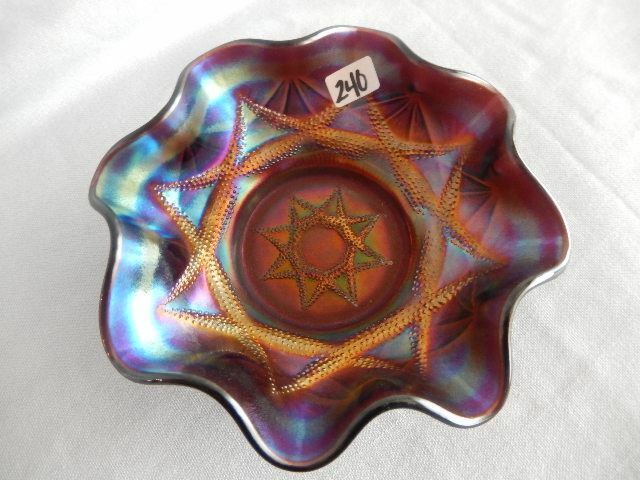 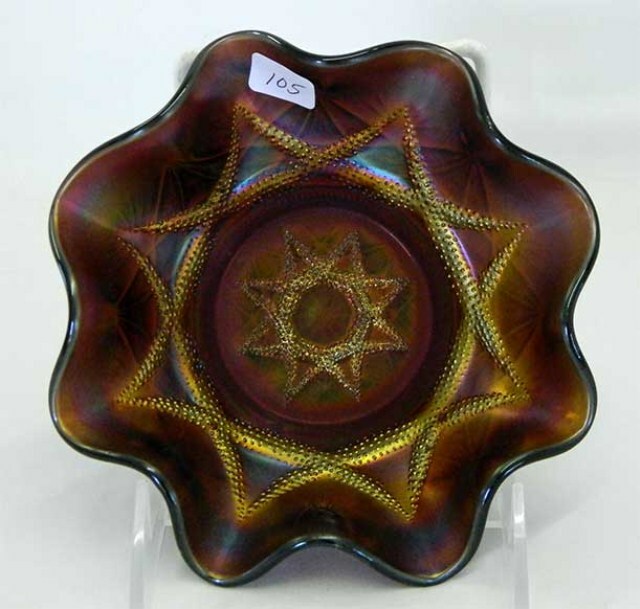 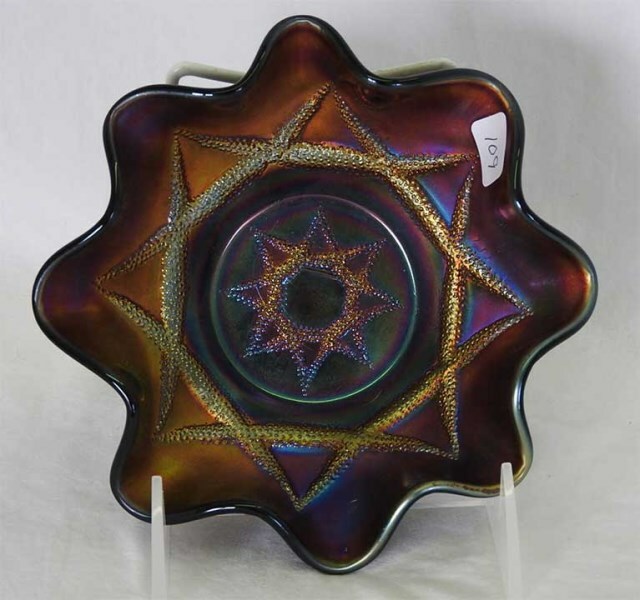 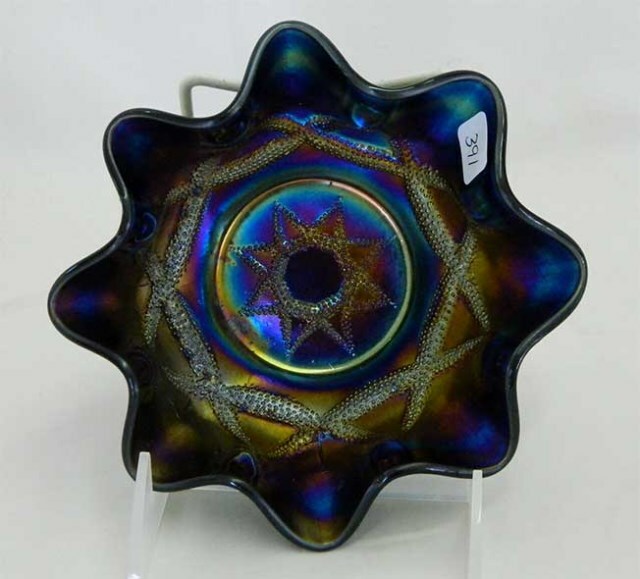 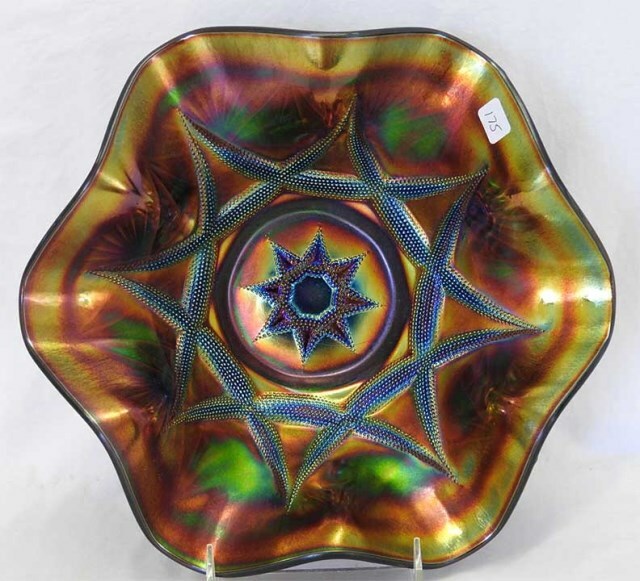 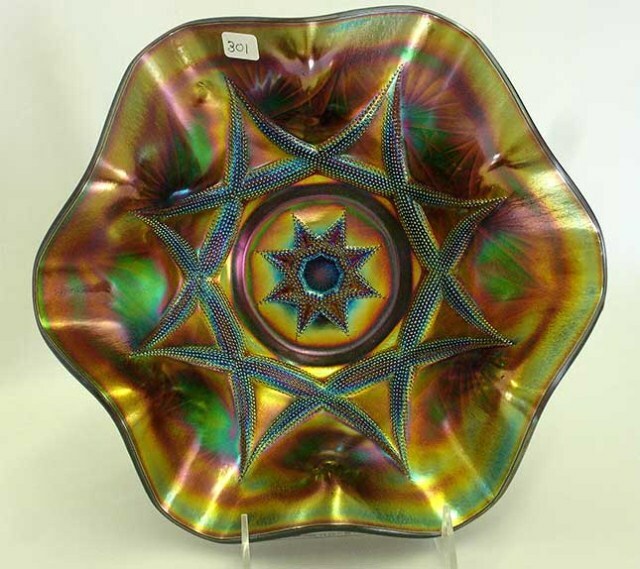 The above right unusually shaped bowl in purple sold for $350 at the 2003 www.cga convention auction. 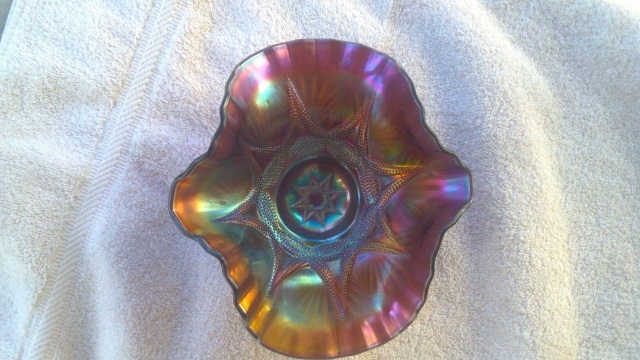 It was described as a 7 1/2 inch deep nut bowl. 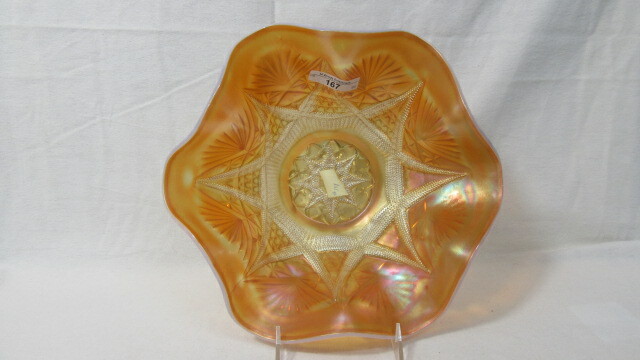 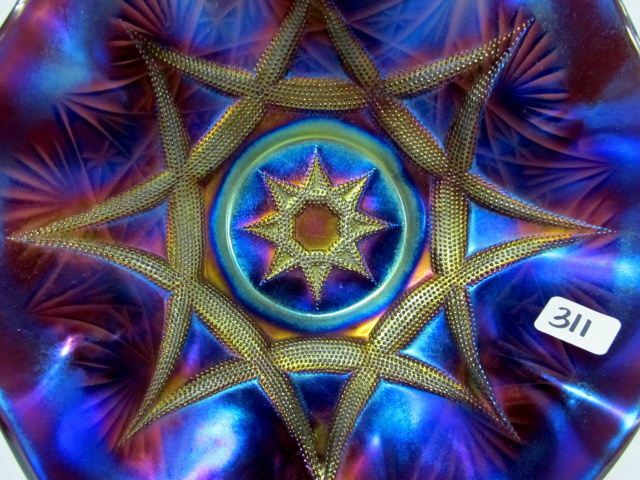 Another like this one sold on eBay in 2005 for $250. 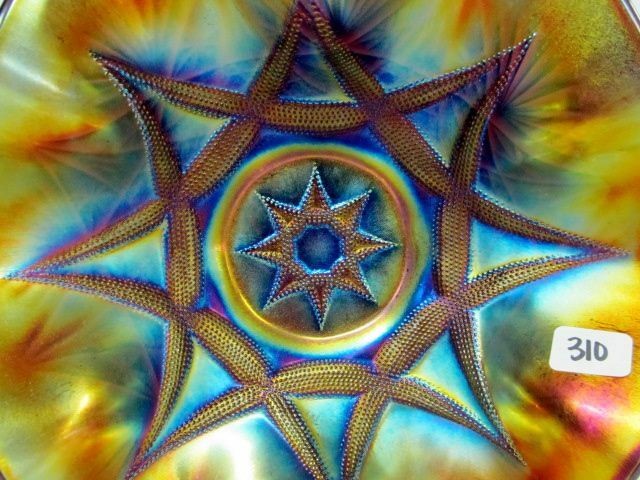 The photo courtesy of Mickey Reichel.